This week’s blog is a short one. After last’s week discussion about praise and worship, I thought I would share with you some good praise and worship music. Not everything falling under the category of “Christian,” “Gospel,” and “Praise & Worship” these days is fit for believers; a lot, if not most, of it is just plain trash. I don’t know about you, but I can’t won’t listen to just anything. I also understand that the world can’t give me the Word of God and, therefore, it can’t provide songs that will feed my soul, strengthen my spirit, and encourage my heart in the ways of Christ. That being said, I want to give you a look at the kind of music I like by sharing a few playlists with you. I grew up listening to choirs, and still love them (good ones) to this day. I discovered Sinach and People & Songs fairly recently and love that their music is Word based and God glorifying. 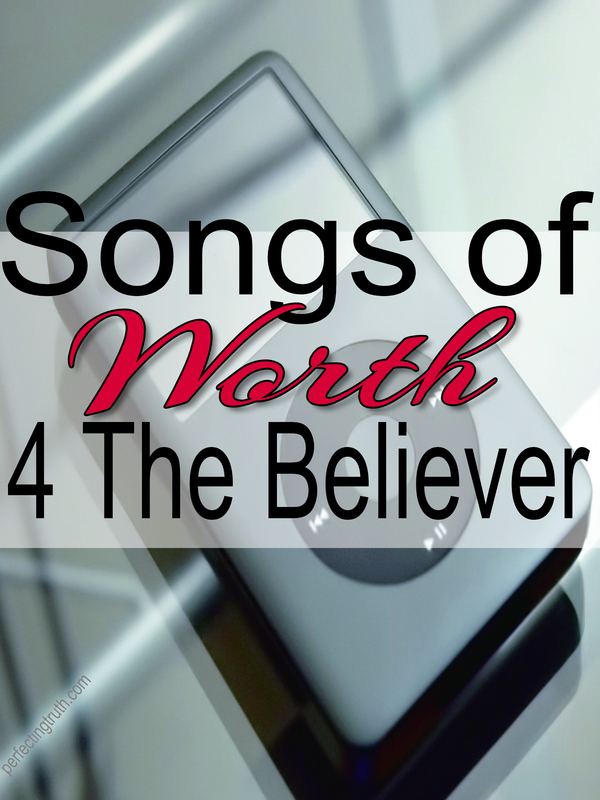 This is not an exhaustive list for solid praise and worship music, but it’s a good beginning. We may have to search a while to find it, and we may even have to train ourselves to value words over music, but there is music available for us. Interested in an updated page on this site dedicated to good praise and worship music? Let me know in the comments. To get you started, below are 9 playlists for your listening pleasure. Enjoy!! Love the Gaither Vocal Band. I grew up listening to my mom and grandma play and sing their music. I do to!! When I was a kid my parents would listen to them as well :). Thanks for reading and sharing your thoughts. I love listening to Sinach! One of my favorites. I agree with you, we should be careful what we listen to. I don’t listen to everyone that sings Christian & gospel music. Thanks for reading and commenting on the post. It was so refreshing when I stumbled upon Sinach!! It is sad that Christian/gospel music has fallen so low. I think it’s because, in order for Christian/Gospel music to have real substance it must come from the heart of one who truly loves Jesus – not money and fame. Honestly, how can one worship and praise a God they don’t know? Anyhoo, thanks again for checking out the post. And I also think that true believers shouldn’t need anyone to make songs for them. True believers – have God’s Word in their hearts and that’s more than enough power to create their own songs!! I’m not about to speak the cold hard truth right now… but if I was; I would have to say that God is even more fed up than the true believers are – with the church trash that’s constantly being produced by the music industry. If more people would obey the scriptures, we would be singing unto the Lord “A NEW SONG”. . . cause God ain’t studd’n this gospel garbage that being sent up these days!! I won’t get started on that right now tho’. Good post!!! Thanks for reading and commenting on the post. I totaly agree with you. You may remember hearing the old saints talk about, and sing, songs that “God gave” them.